WHILE livestock producers across many areas of Queensland and NSW have enjoyed significant summer rain, the wet weather can also bring an elevated risk of Bovine Ephemeral Fever, or Three-Day Sickness, warns the Livestock Biosecurity Network. Three-Day causes serious economic losses through loss of condition, decreased weightgain, deaths and reduced fertility in bulls. Affected cattle often lose their appetite and are reluctant to move, frequently lying around during the period of illness. The clinical signs of the viral disease include fevers, stiffness in the muscles, recumbency and sometimes nasal discharge, drooling saliva and weeping eyes. LBN Northern Australia regional officer Dr Sarah-Jane Wilson says producers are on the back foot due to a recent shortage of the BEF vaccination and now the summer rain. See Beef Central’s December discussion about vaccine access problems here. “The virus that causes BEF is transmitted between cattle by flying insects such as mosquitoes and biting midges, and these insects become more prevalent after significant rain,” Dr Wilson said. The disease can affect cattle of all ages and is often seen after a prolonged drought period because the lack of rain will have impeded the breeding of insect vectors during this time. This means, with no biting insects to spread the virus, there will be fewer animals which have previously been exposed and developed immunity to the virus, Dr Wilson said. Surveillance of livestock is critical – recumbent animals should be provided shelter, food and water and also need to be rolled several times a day, particularly if they are heavier cattle. Lactating cows and bulls should be treated promptly if BEF is suspected. In addition to the clinical signs of BEF, a blood test can identify the presence of the virus and is most successful when samples are collected in the first few days of clinical disease. “I encourage cattle producers to consult their local vet to have a blood sample collected if BEF is suspected in livestock. This will allow for the best treatment and chance of saving stock,” she said. 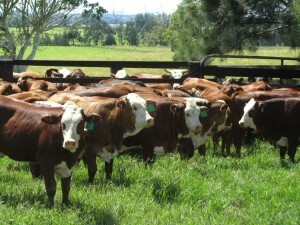 Livestock producers with cattle exposed to wetland are particularly encouraged to keep an eye on their stock as they have the highest risk of contracting the virus. After a recent shortage of BEF vaccine, supplies are now being rushed to veterinarians in areas likely to be affected after the rain. “For cattle older than six months of age, vaccination for BEF is best practice and is required as soon as possible to avoid high-risk and high-value livestock being affected and causing economic losses for producers,” Dr Wilson said. Livestock producers are encouraged to contact their vet to see when supplies of the vaccination in their area will be available. To ensure that animals are fully immune before insect populations have the opportunity to breed, it is recommended that vaccinations are completed annually before spring, especially in northern Australia. What is the Livestock Biosecurity Network? 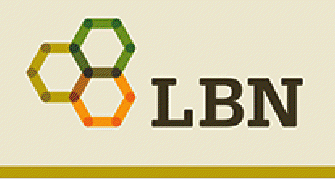 The role of LBN is to improve the knowledge and understanding of animal health, welfare and biosecurity among key stakeholders. While LBN information is targeted at livestock producers, the organisation is also a key participant in a national network of government and industry partners involved in helping protect livestock industries from emergency animal disease.